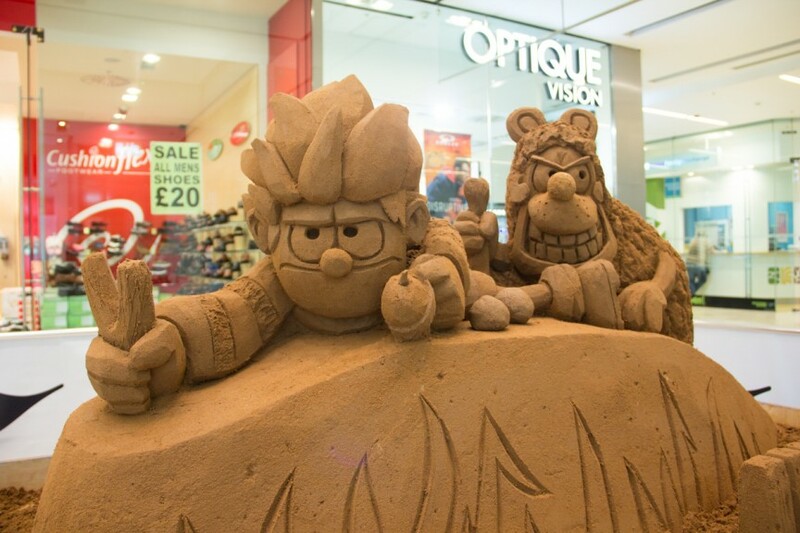 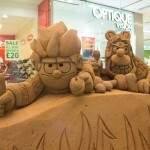 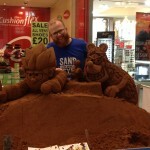 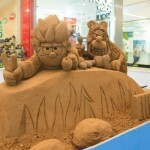 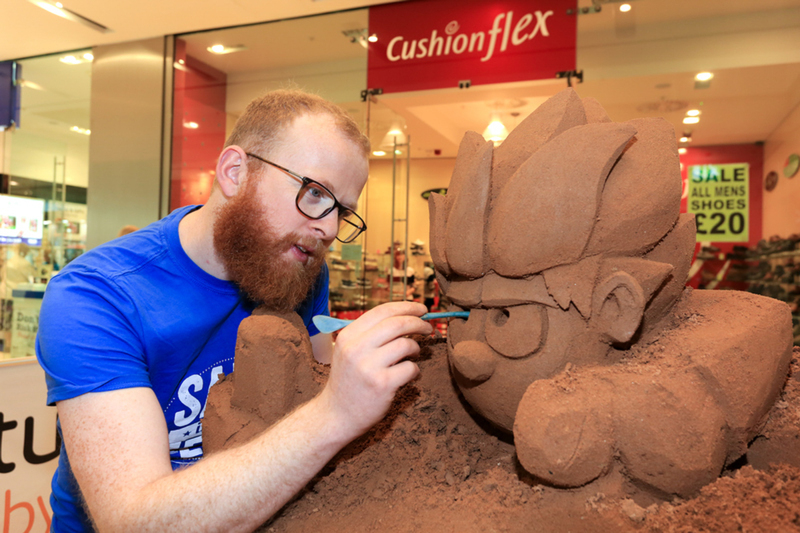 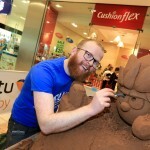 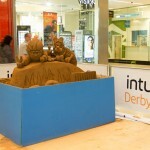 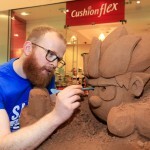 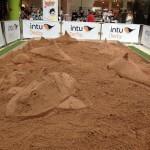 This weekend we were part of the ‘Beano Take Over’ at Intu Derby Shopping Centre. 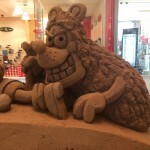 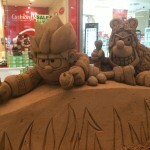 I had the pleasure of making a 1 tonne table top sand sculpture over two days, of a boyhood hero and his dog who was recognised by all generations as the Beano has been around for 77 years. 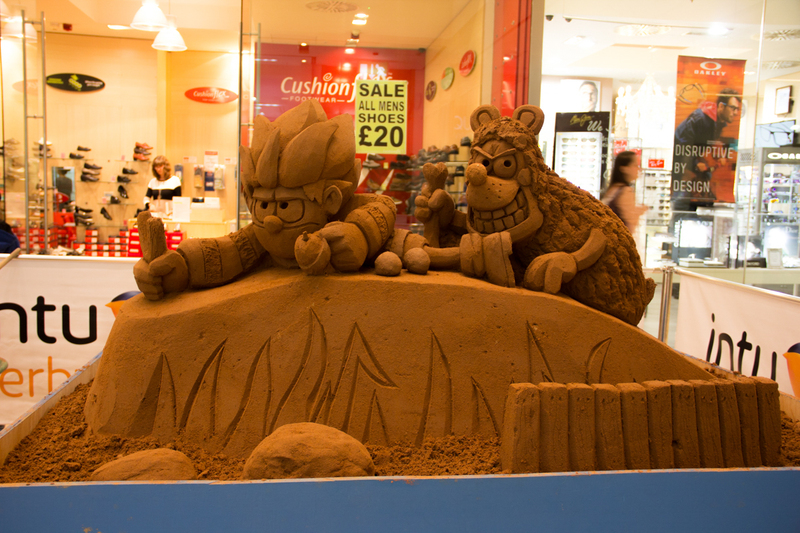 “Its Dennis the Menace and Gnasher!” a young boy screeched. 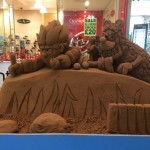 His granddad would then give a knowing smile as he thought back to his own childhood.….”Aye, he looks a bit different to when I was a lad but he gets up to the same tricks!” Dennis was armed with a catapult and tomato egged on by Gnasher. 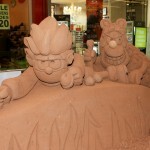 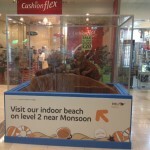 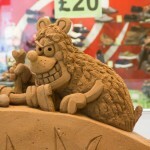 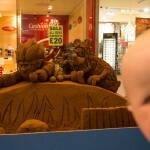 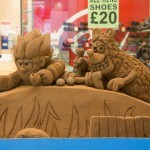 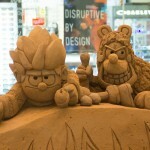 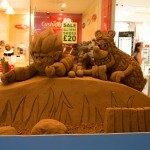 This sculpture was then protected with a perspex box and Dennis and Gnasher were kept all summer! 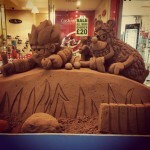 We always like to make something too! 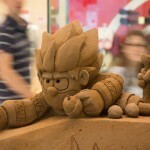 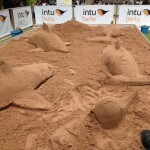 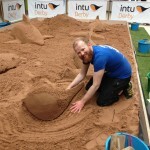 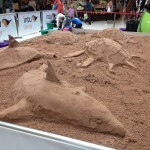 During the weekend we also ran two days of sand sculpture workshops in a sand pit made with 10 tonnes of sand. 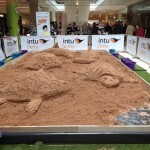 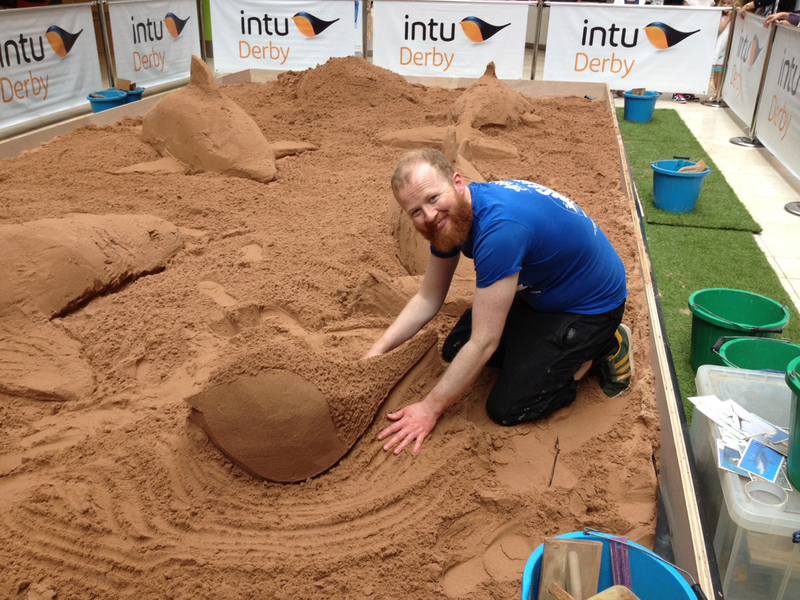 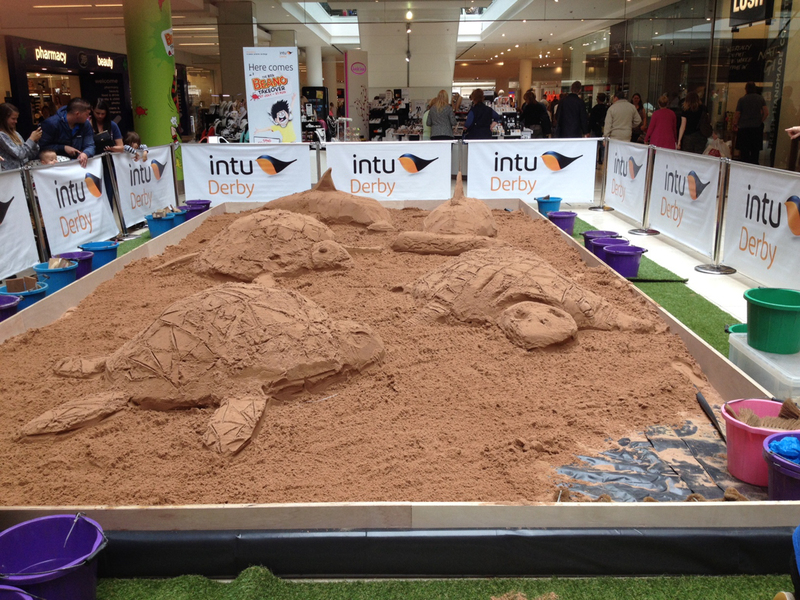 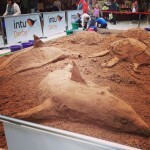 Some of the Intu Derby staff even helped out and got a little training to help them run their own sand art workshop for the rest of the summer. 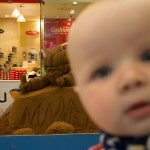 Florence with a sneaky photo bomb!